This review is in no way financially compensated. My activities, travel and accommodations were provided by Disney for the premier event. I can’t imagine a single person in this world that hasn’t enjoyed the beloved Disney film, Mary Poppins. It’s likely one of the most memorable and well-known Disney feature films, but what you may not know is the story behind the movie and the laborious attempts to bring it to the big screen. From the very first time I saw this movie poster, I knew I had to see the film. I almost cried the first time I saw the preview and that’s when I knew that Disney had another classic in their arsenal. 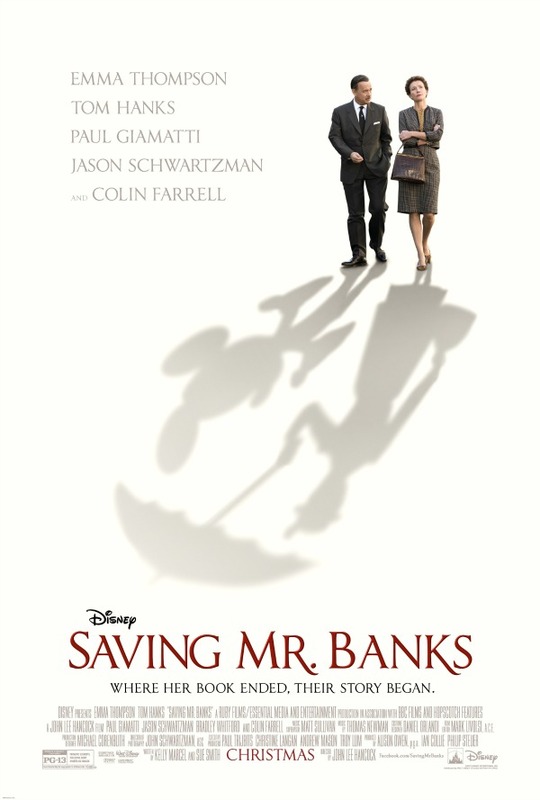 Saving Mr. Banks is the story about how Walt Disney himself, after a promise made to his daughters, brought the PL Travers book into the Disney family. Though it took him over 20 years to do so, eventually the film was made, but not without great reluctance on the part of the writer and some creativity on the part of all of the film’s creators. In the 1940s, fueled by a promise he made to his daughters to make Mary Poppins into a Disney film, Walt Disney began pursuing the rights to the book. It wasn’t until 1961 that PL Travers agreed to meet with Disney. Begrudgingly, she flew to LA, motivated by dwindling book sales and financial troubles. Walt Disney began his quest to get the rights to P.L. Travers’ book “Mary Poppins” in the early 1940s. Although it took nearly 20 years to obtain the rights, when “Mary Poppins” was finally made, it won five awards of its 13 Academy Award® nominations: Best Actress (Julie Andrews), Best Effects, Best Film Editing, Best Original Score and Best Original Song (“Chim Chim Chee-ee”). Among the nominations were Best Picture and Best Adapted Screenplay. In just two short weeks, Disney (Tom Hanks) must convince Travers (Emma Thompson) that her book, which is based on her heartbreaking childhood and her experience with the real Mary Poppins, won’t be compromised into something unrecognizable and too ‘Hollywood’. I can’t tell you enough how much I adored this movie. I love Mary Poppins – I’ve had a crush on Bert since I was a kid – and to see the story behind the film made me love it that much more. You don’t have to be a Disney fan or even a fan of Mary Poppins to be touched by this story, but I can’t imagine a single person who isn’t. It’s both tragic and heartwarming at the same time, and definitely the perfect Christmas film for your family. 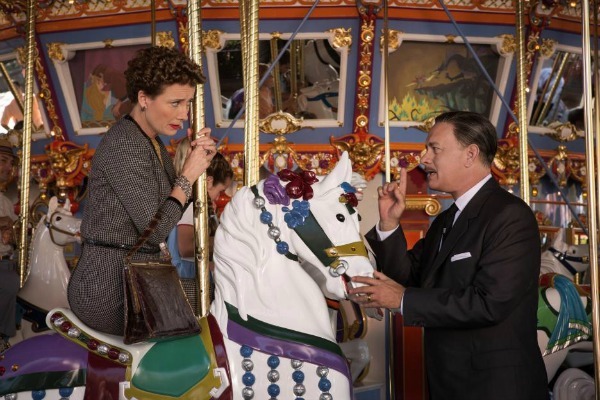 Saving Mr. Banks opens in theaters Christmas Day. 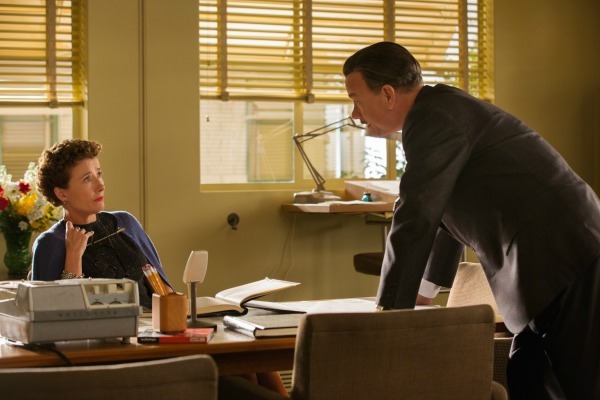 Find Saving Mr. Banks on Facebook and follow the film on Twitter. This year is the 50th Anniversary of Mary Poppins! Get the Anniversary Edition of the film on Blu-Ray for the holidays. Just FYI, if Disney paid for your accommodations and travel, that is a taxable event and considered financial compensation according to the IRS.